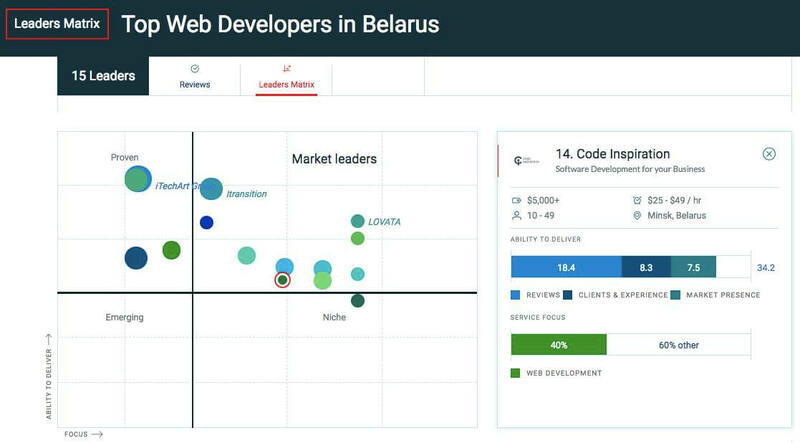 Code Inspiration Named a Leading B2B Company in Belarus. Our company expresses its appreciation to the Clutch.co authors for writing the article for these TOP 15 leaders highlighting every company individually. We want to say a special thank to Jack O’Connor, a business analyst of Clutch.co for his informational support and we are very happy to be selected and become named one of the best. 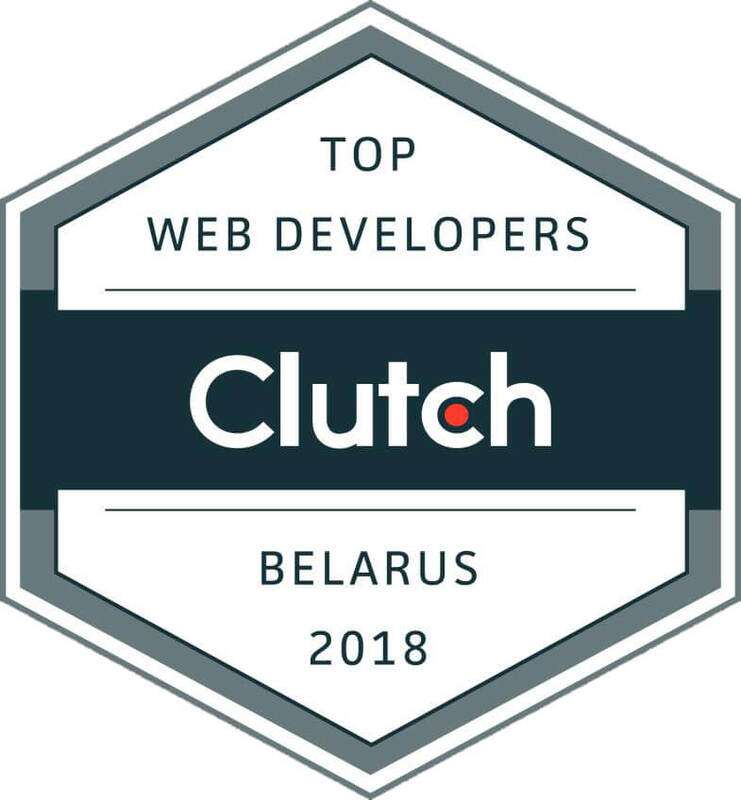 Code Inspiration Team feels so proud of getting in a TOP 15 web developers in Belarus according to Clutch.co a well-known resource for its consistent and reliable reviews and a serious approach to the companies that are selected to be listed as the most professional ones. Code Inspiration has recently been featured as a top web developer in Belarus according to Clutch! Clutch is a research, ratings and reviews firm based in Washington DC that primarily deals with business to business firms. There are thousands of companies from over 500 different industries on Clutch’s website, from call centers to AngularJS developers, but only the top tier firms get featured as industry leaders. Their platform lends buyers the ability to perform an in-depth evaluation on multiple services in order to hire the best possible fit for their business. Every company on Clutch is ranked based on clientele, market presence, and verified feedback. Additionally, we have been listed on The Manifest as one of their top web development companies in Belarus. The Manifest is Clutch’s sister website that covers global business news and builds industry lists. It’s an honor to receive such glowing acclaim on both platforms. We look forward to working with more of you in the future! For business inquiries on web development or mobile app development, please feel free to contact us.